How Far Should You Sit From Your TV? I can still hear my mom telling me not to sit too close to the TV because I would go blind. 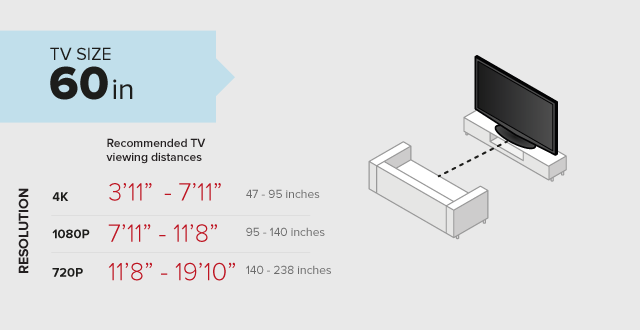 Still not blind, however, it echoes the question of how far one should you sit from a TV? TVs have been reinvented in the past 20 years, most of that coming in the past several years… from 720P to 1080P to 4K UHD. 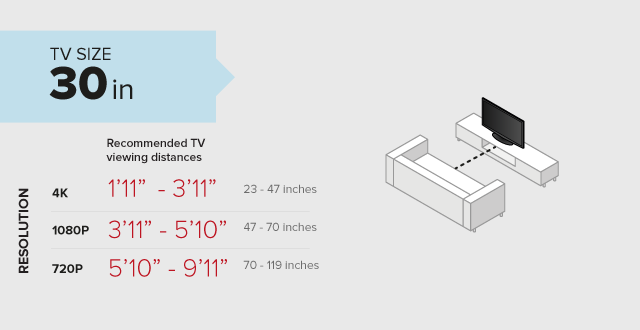 Most TV viewing distance guides do not take into consideration the profound differences in screen resolution. Hence our reason for creating one. 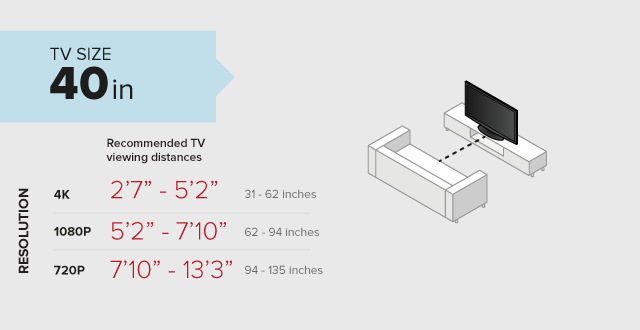 We used research from the top video specialists (sources below) and put this together taking into account the variety of screen resolutions that exist. 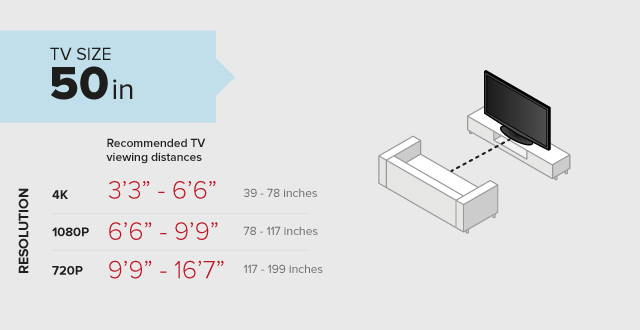 What is the size of your TV (measured in inches)?